The concerti by Wolfgang Amadeus Mozart K 313 in G Major and K 314 in D Major represent two of the most important pieces for the flute. 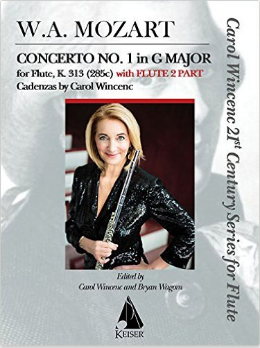 These Carol Wincenc publcations help students in their learning and preparation of these great works by utilizing a second flute part, an effective practice introduced by her teacher Marcel Moyse. 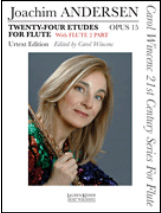 The second part serves as a useful tool in lessons at which no pianist is present to accompany the soloist and reveals to the student musical subtleties and concepts which would otherwise not have been possible to impart. 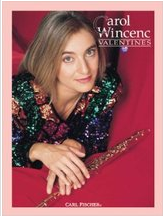 The arrangements have been carefully written to be playable on historical as well as modern flutes, and include Ms. Wincenc's own cadenzas that have been brilliantly honed by years of professional concertizing.